The United Nations’ Intergovernmental Panel on Climate Change and scientists from across the US government have sounded the alarm again in recent weeks with new reports about the dangers and potential ramifications of changing temperatures and rising sea levels. On Wednesday, By Any Means Necessary on Radio Sputnik was joined by Bruce Gagnon, coordinator with Global Network Against Weapons & Nuclear Power in Space, to discuss the intersection of the climate and the Pentagon, one of the world's largest organizations. 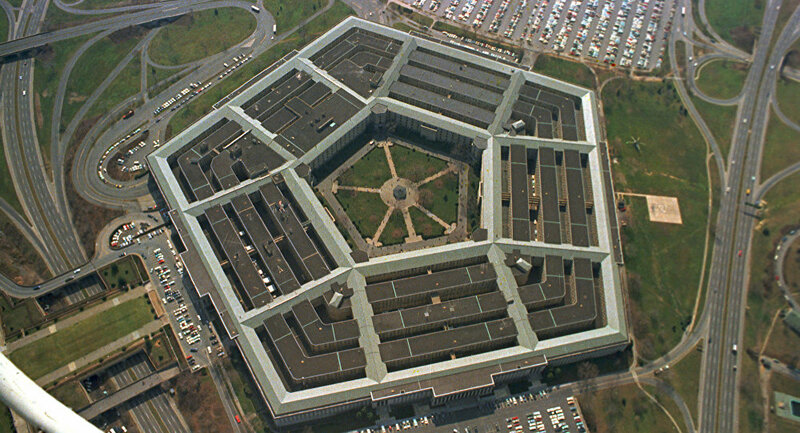 ​"The Pentagon, the US military, has the largest carbon ‘bootprint' on the entire planet of any institution," Gagnon, a US military veteran, said. According to the Union of Concerned Scientists, the American military churns through more than 100 million barrels of oil each year to fuel aircraft, ships and vehicles. "When the Kyoto Protocols were first signed, the US refused to sign them unless the Pentagon was excluded from measurement [and] from reporting. The US wants to hide, wants to keep silent, keep quiet. The elephant in the middle of the room is the US military's massive contribution to global warming." In December of 1997, representatives from more than 150 nations convened in Kyoto, Japan, where they ironed out the first international agreement on reducing greenhouse gas emissions, with a special focus on carbon dioxide. The final agreement had signatures from 37 of the participating nations and the European Community, an EU organization that promoted economic integration on the continent before being fully absorbed into the bloc, according to Japan Times. The goal was to slash the emissions of six greenhouse gasses by 5 percent by 2012. Though the US never ratified the Kyoto Protocol, the final agreement provided that signatory militaries did not have to disclose their carbon emissions. Nevertheless, US researchers have found ways to estimate the military's impact. "Military activity to protect international oil trade is a direct production component for importing foreign oil — as necessary for imports as are pipelines and supertankers," researchers Adam Liska and Richard Perrin from the University of Nebraska-Lincoln wrote in a 2010 study. "Our conservative estimate of emissions from military security alone raises the greenhouse gas intensity of gas derived from imported Middle Eastern oil by 8 to 18 percent," the pair said. But this doesn't quite measure the sum total of greenhouse gases generated by military activity. "It is difficult to calculate the exact responsibility of the world's military forces for greenhouse gas emissions," the New Internationalist reported in 2015. "What we need to be talking about is converting the US military, the endless war machine," Gagnon told Sputnik.